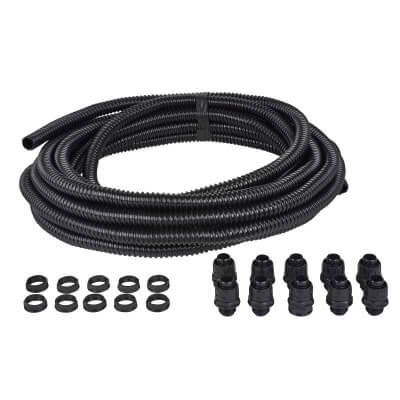 Black Nylon Flexible Conduit Contractor Packs offer convenience when ordering, storing or using conduit and fittings. Supplied in either 20mm and 25mm sizes, these handy packs contain 10m Black PVC Conduit, 10 Fittings and 10 Locknuts. Available in 20mm and 25mm sizes.